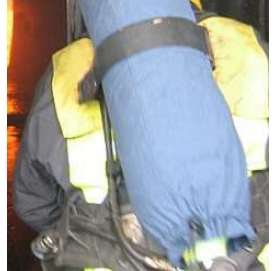 Protect you valuable Breathing Apparatus cylinders from repeated exposure to combustion products. Durable and easy to launder. We are confident you will find our prices hard to beat and the quality high. Available in 200 Bar (9 litre) and 300 Bar (6 and 6.8 litre). We have other templates and we can make customised covers to suit any applications.